DON’T DO THIS! Also known as a “suicide roll” . . . Cargo that is likely to roll must be restrained by chocks, wedges, a cradle or other equivalent means to prevent rolling. Various cardboard fillers or pallets in the center of a load can be used to secure a load from side to side. • Blocks should preferably be made of plastic or hardwood. • Blocks must be free of defects such as large knots and splits. • Blocking must be as wide as it is high. • Blocking greater than 5 inches tall may be constructed by securely nailing multiple pieces together. 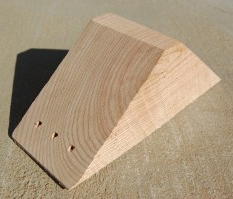 Double cut wedge blocks are typically used as wheel chocks on vehicles and also for locating and securing large diameter pipe. Two nails should be evenly spaced, equal to the thickness of the blocking, from the end. Additional nails must be applied less than ten inches apart for the full length of the piece. Top Tip: Lubricate the nail. For hard wood like oak or maple, dip the nail in petroleum jelly, which reduces the friction when driving it in, and can lessen wood splitting. Double and single cut wedge blocks must be secured to deck with at least 4 nails widely spaced to resist twisting. Nails should be large enough to penetrate 1 ½ inches into the deck. Single cut wedges used for end blocking must have the long side against the deck. 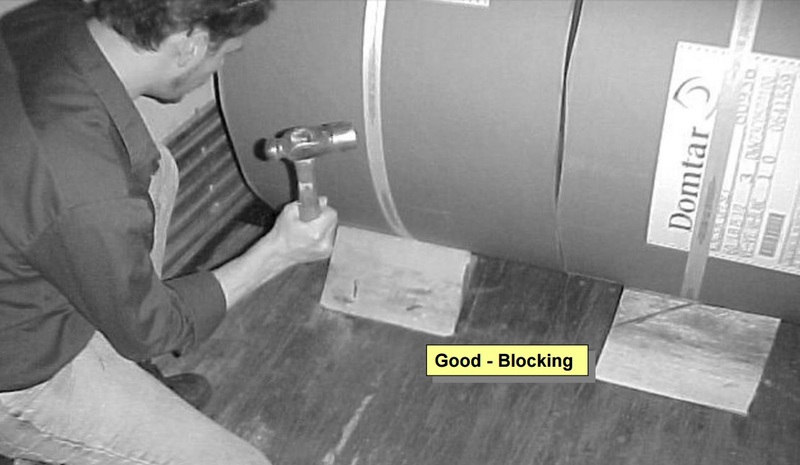 Plastic or wooden chocks are both acceptable for use on separators or for pipe shipments. Chocks must be positioned firmly against the sides of the pipe. Wedges can secure rolls of paper. But . . . use proper tools: only use a claw hammer for nailing and wear your safety glasses. 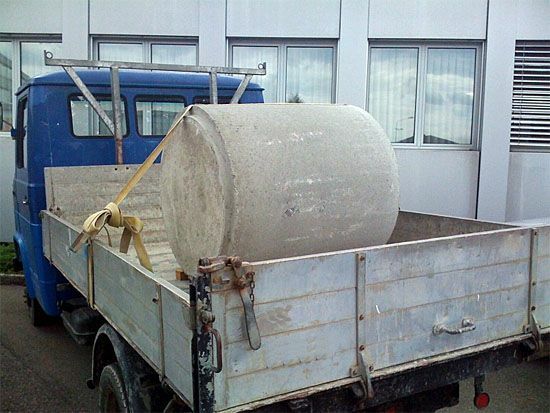 Always check your load securement from time to time. Straps and chains can loosen or materials can creep out or fly loose. This entry was posted in Load Securement and tagged blocking rolling cargo, types of wedge blocks by admin. Bookmark the permalink.